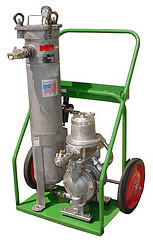 Improving Oil Quality and Extending Equipment Life! Do you know how to improve your oil quality and extend your equipment life? We are often confronted with issues regarding hydraulic and lubrication oil quality. 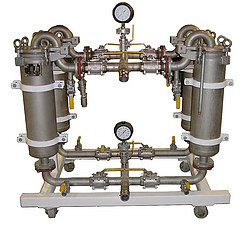 It is common knowledge that a majority of system failures are the result of fluid contamination. These failures can result in costly repairs, consuming countless man hours, expensive replacement parts, exorbitant rush shipping fees on said parts, and costly down time. While not a cure-all, monitoring and maintaining oil quality can be simple and cost-effective. 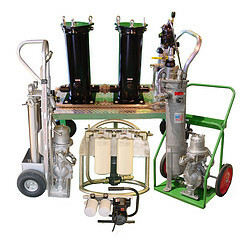 By maintaining oil quality you can dramatically extend fluid service life, extend critical component service life, minimize repair costs and down time, increase maintenance personnel productivity, and dramatically reduce replacement oil costs. Though the price of crude oil recently dipped to around $75.00 per barrel, many specialty hydraulic and lubricating oils still bear a hefty price tag. There is still a huge incentive to maintain oil quality and extend service life. On the front end, the costs associated with embarking on or improving an oil quality monitoring program can be relatively low. Initial steps should include identifying the critical systems, and the most critical (costly) components of those systems. Inventory of these systems should include some basic but valuable information, including, type of oil used, operating temperature, pressure, viscosity, target ISO cleanliness code, current filtration (if any), repair or maintenance history, oil sampling data (if there is any). 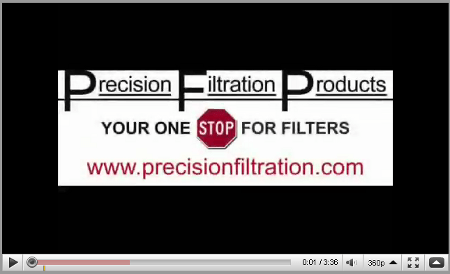 Next is identifying the best areas within those systems for fluid sampling. Establishing a protocol for consistent fluid sampling will help establish trends in your analysis. As the program takes shape, you will most likely start looking at improving storage and transfer methods, upgrading filtration, portable filtration equipment, and if the situation demands, laser particle counting or monitoring equipment. 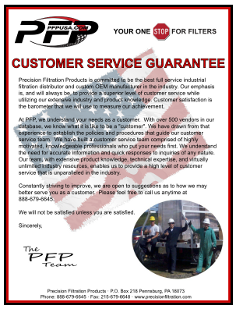 If you would like more information on developing or improving your oil quality program, adding portable filtration equipment, or a demonstration of our laser particle counters and fluid sampling practices, the customer service and sales team at Precision filtration Products is ready to assist you. Make sure to contact us today so we can help improve the quality of oil at your facility!